11He replied, “You are permitted to understand the secrets of the Kingdom of Heaven, but others are not.12To those who listen to my teaching, more understanding will be given, and they will have an abundance of knowledge. Jesus often found himself in crowds of all kinds of different people; farmers, fishers, sellers, buyers, builders, teachers. He knew his audience, partly because He and his Father made them, but more so because he left heaven to live with them and like them, apart from the sinning bit. In his hometown Jesus was know as the carpenters son, which implies he knew the same trade as his dad. Before going on Kingdom at Hand tour with the boys, Jesus might have been a regular at the first century Home Depot. He would have listened to his neighbour's struggle while they decided which wooden mallet to buy. Maybe on his way home he would have stopped by Foot Locker to pick up some new sandals and heard the shoe maker wondering how he would get out of this latest mess. Maybe down to dock to pick up some fish for dinner where he would have heard Simon's dad wondering if there'd be a good catch this year. Then back home to finish building a table and chair to deliver to Mr Shwartz next week. Maybe He took the shortcut through Mr. Ploughman's back field and over heard him teaching his workers where to plant wheat and and where to plant rye. Jesus knew who would be listening when he started to talk about the Kingdom of Heaven and he wanted to make sure the people he was talking to knew what he was talking about. Farmers know about farming. Fishers know about fishing. Good sellers know about good deals. Simple pictures explain profound ideas to people who know their stuff. That's why when Jesus says some the like 'the KoH is like a mustard seed that grows into a huge tree where birds nest and find shelter' gardeners and farmers would have immediately understood a secret truth about the KoH that perhaps a fisher or a Pharisee may have missed. 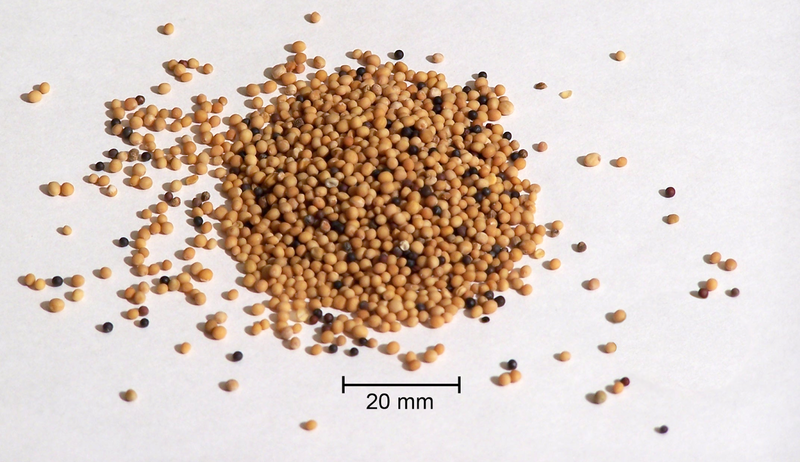 Without google, I would have no idea what a mustard seed looks like, or a mustard tree, or what life looks like in that mustard tree. But a lot of people in that crowd would have instantly had a revelation of the KoH. The provision of home, safety, sustenance, rest, shade, something so great from something so small, something impossible out of almost nothing, would have spoken so loud and clear to anyone with a mustard tree in their back yard. The fishers, they didn't get the farming references. But they did get the KoH is like a net. The sellers understood the pearl. The bakers got the leaven and the farmers got the wheat. Simple secret truths about the immense nature of the KoH revealed in simple every day ideas and analogies. Parables are beautiful to those with ears to hear. Pharisees and religious folk often missed it altogether because they had so detached religion from reality that these secrets of the kingdom went right over their head. As a word of caution, it's very easy for us to do that. Jesus' teaching is rich with layers of meaning. We can be tempted to peel back layer after layer, tying words and ideas and images together and creating a web of theology that is so complex we miss the simple truths Jesus was trying to get across. Often those webs are true and right, but for many of us, the place where faith and life intersect has to be in the simple everyday truths. If we are farmers we need to know that the KoH is as real and present and alive as the plants growing in our field. If we're fishers we need to know that God is present in the everyday tasks of mending nets and pulling ropes. If we're sellers we need to know that there is something more valuable than all the things we can buy and trade. If we're bakers, we need to know that the life of the kingdom is going to affect every part of our lumps of life. Toward the end of Matthew 13, Jesus says, " “Every teacher of religious law who becomes a disciple in the Kingdom of Heaven is like a homeowner who brings from his storeroom new gems of truth as well as old.” (52) Becoming a disciple of the KoH is simply believing what Jesus said and did and living as if that's true. Parables then have to be understood and applied through the lenses of the Gospel. They also have to be told and retold through the lenses of the Gospel. When we share our faith, as disciples of the living Jesus, it's important to know what the word says, it's important to know what and why you believe. But I think it's also important to know who you're talking to. If you're trying to tell your friend some of the secrets of the KoH, they might not get the farming references, I wouldn't. When Jesus' disciples came and said, dude, we don't get it, why are you telling riddles, Jesus said, "you are permitted to understand the secrets and I am going to give you an abundance of KoH knowledge so you can share it with others. That is true of you, disciple of the KoH. You have been given the mind of Christ, the one and only Holy Spirit is in you and will let you speak truth to others. Bring out new gems, tell stories and analogies from your own life. If you are a disciple, Jesus is active in your life and the KoH is real. Other people need to see and hear and know that. You don't need a degree in bible hermeneutics to explain the reality of Jesus in your life. You don't need a pulpit to share KoH truth to your neighbour. The Gospel tells us that all the barriers and hierarchy are removed in the KoH, we have one go to, and he's given us his own spirit to share the truth with others. You've got a pocket full of mustard seeds, start planting them and see what grows.